LŌV No. 2 – What’s so super about blueberry? Imagine a food so rich in vitamins, minerals and antioxidant compounds that it can provide abundant health benefits…Well, that’s what we call a “superfood” and guess what? Blueberry is one such superfood! Blueberries do not grow in exotic places but they are native to North America, growing wild from as far south as Florida to as far north as Quebec. Being chock-full of flavour and nutrients, they are a fantastic addition to a healthy, balanced diet. Their real “superness” comes from a group of compounds called anthocyanidins which have been extensively researched for their antioxidant action and which have been shown to be capable of counteracting cells damage by free radicals. The same compounds are responsible for their blue and purply colouring as well as for those familiar stains on your fingers when you excitedly break open and eat a juicy wild blueberry. On the top of that, blueberries are an excellent source of vitamin C, another antioxidant crucial for collagen production. Therefore, blueberries not only taste good but make you look good too because of the protective effect on your skin and anti-aging properties!!! Blueberries are even guilt-free! They can be enjoyed by weight-watchers, including people with diabetes, as well as those looking for overall wellness, because of their low sugar content and low Glycaemic Index. They contain plentiful soluble fibres, which slow down the rate at which sugar is released into the bloodstream and help to keep the digestive system happy. And which is why the American Diabetes Association have named blueberries as a ‘diabetes superfood’. Another popular use of blueberries is related to vision: legend suggests that during World War Two, British aviators ate blueberry jam daily to improve their night vision. Some research shows they can indeed increase blood and oxygen delivery to the eye, having a potential role in protecting from cataract development and macular degeneration. Finally, this delicious food can improve memory and contribute to keeping your blood pressure and cholesterol in check and also play a role in the prevention of cardiovascular disease. 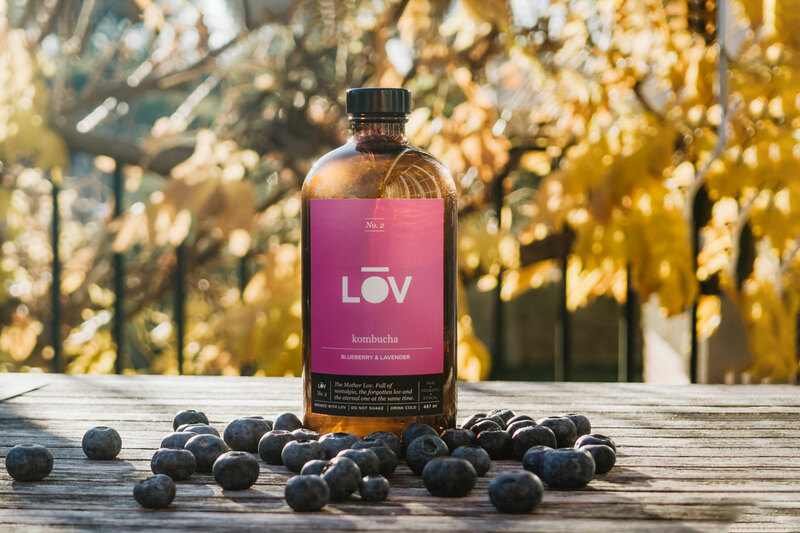 And now that we all know how good blueberries are for us, we have even more reasons to enjoy our Lov No. 2 kombucha!